Users - Color Exchange comes out a lighter shade than selected color. Color Exchange comes out a lighter shade than selected color. select/fill tools, it comes out fine. What is wrong? Re: Color Exchange comes out a lighter shade than selected color. >select/fill tools, it comes out fine. What is wrong? Secondly, I brought up your image in GIMP (2.10.4), and used the Color Picker tool(from the Toolbox - also available from Tools-->Color Picker), with Pick Only andUse Info Window checked in the Tool Options.RGB for the darker was: 46/118/163, and the lighter was:71/140/186.I.E. neither one was 0/90/180.I used your figures in Change Foreground Color to set theforeground color to your desired blue. 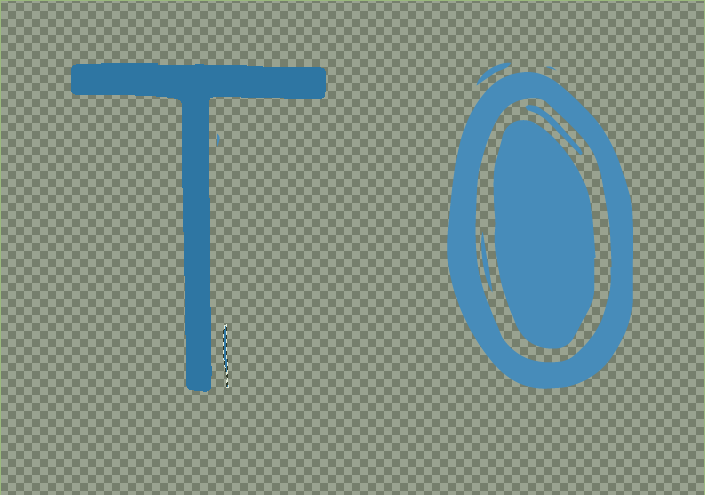 This blue I then used to paint with a bit, and found it tobe darker than either one of your, um, "letters".The color picker tool confirms this new stroke to be 0/90/180.